Katherine: Thank you so much, Attorney Drescher, for joining us on This Needs to be Said again, so we can talk about bankruptcy matters. Last time we had you on, we talked about student loans. Today we’re going to talk about your book, File Bankruptcy and Get Rich. I want to say, welcome back. Thanks so much for being here. Ron: Thank you so much for having me. 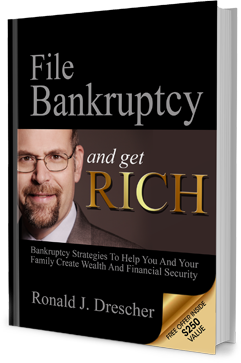 Ron: The File Bankruptcy and Get Rich is part of a process of financial planning. If you’ve got a bunch of debt, and you’re servicing that debt, for example, if you have $13,000 in credit card debt at the normal rate, and you pay the minimum payments, it’s going to take you 29 years to pay off that credit card. Most people are thinking that, “Okay. I’ll pay it. I’ll pay the minimum payments. I’ve got a bonus. I’ve got a tax refund. I’ve got something else coming in. I’m going to pay off my car. When I pay off my car, that’ll free up my money, then I’ll accelerate the payments towards that credit card.” That’s okay. That’s a legitimate way of looking at your finances. If the credit card balance is just a little too high, then you’re going to use up years and years of your life getting to zero, getting to the point where you don’t have that debt. You know what? It’s your life. These are your years. This is the time that you have in your life to make the best that you can out of the opportunities that you have. If you’ve got debt that’s a little bit unmanageable, and you’re paying a credit card company, instead of paying yourself, I’m inviting you, in this book, to consider whether or not that’s a wise decision. File Bankruptcy and Get Rich is all about ridding yourself of this debt so that you can pay yourself in savings and in investment, instead of paying the credit card companies’ exorbitant interest rates. Katherine: I know we need to pick up a copy of the book, and you’re going to tell us, just a little bit, how to get a copy of that book. Give us one example from your book that talks about how we can save money. Again, bankruptcy and getting rich, saving money, seems like it shouldn’t go together, but you’re showing us masterfully that it does. What’s one example from the book that you illustrate? Ron: The first example that I illustrate is the one that I just discussed with you, and I’m happy to dive a little deeper. You’ve got a credit card of $13,000, and you’re making minimum payments … I want to pull up exactly what’s going on … you’re making these minimum payments, and we’ve figured out that, over the course of 29 years, you’re going to end up paying … I have this table right here … if you make the minimum payment on a $13,000 balance, of $130, you’re going to end up paying $29,392 over 26 years, so it’s $16,000 more than the principal. Let’s turn that around in a different way. Let’s say you take that same $130 minimum payment at the same 26 years, and let’s say you have a very conservative rate of return of 4%. The value, at the end of the 26 years, of that $130 investment is going to be $71,000. Basically, instead of paying $29,000 to the credit card company over 26 years, you’re going to have, in the bank, $71,000. Ron: In 26 years, you’ll be $71,000 ahead if you file bankruptcy to get rid of that $13,000 in credit card debt, but continue to pay the $130. Ron: If you don’t pay the $130 a month to yourself, you’re not going to get rich. The bankruptcy doesn’t get you rich, but the bankruptcy creates that initial momentum so that you can pay yourself, instead of paying the credit card companies, and that’s probably the most ironclad example of how this process works because I do assume that you’re going to do everything you can to get out of debt. Let’s talk about a second situation. Let’s talk about wage garnishments. Wage garnishments are horrible things because what they’re doing is, they’re not even giving you the opportunity to consider who you’re going to pay, and how are you going to pay it. They’re just reaching into your paycheck, and they’re grabbing 25% of the net, and it doesn’t matter if you’ve got a mortgage, and it doesn’t matter if you’ve got rent to pay, and it doesn’t matter if you’ve got a car loan. Really, they’re reaching into your paycheck, and they’re grabbing 25%. Ron: That really does hurt, and it’s humiliating, and it’s debilitating. I urge my clients to never allow themselves to be in that position. There are at least two good alternatives; one is a Chapter 7 bankruptcy, which, if you qualify, will just wipe away the debt. Even if you have to be in a Chapter 13 bankruptcy, which requires a monthly payment plan to the trustee before you get your bankruptcy discharge, at the very least, you then get to deduct your rent, and deduct your car payment, and deduct your child support or domestic support obligation, and deduct the amounts of money you have to pay for food, and the amounts of money that you have to pay for your car insurance, and the amount of money that you pay for your cable bill. You deduct that before the creditor gets the first dime. That’s even a much better solution than the garnishment. Does that get your rich? No, that’s not going to get your rich, but at least you know that you’re paying yourself your normal monthly expenses before the money is being taken from you by that judgment creditor. Katherine: Yeah. That’s a tough thing. You’re right, it is debilitating. Even if we weren’t filing bankruptcy, anybody has ever had their check come up short or expected money to come in, and it didn’t come in, in the time in which you needed it that, in itself, is debilitating. Just imagine you have Uncle Sam come in and just get what they feel like is theirs, and too bad, you can’t do anything about it. If you don’t take the steps, you’re just so helpless. Ron: Here’s an amazing thing about bankruptcy in garnishments that … You read on the internet, “The five things about weight loss they don’t want you to know,” I’m going to give you the one thing about wage garnishment that they don’t want you to know, that the creditors do not want you to know. All right? Katherine: Okay. I’m ready for it. Ron: That is, you file bankruptcy, and you can get back all of the money that was garnished from the creditors within the 90 days before you filed the bankruptcy. Katherine: See, I did not know that. See, you can tell from me talking I didn’t know that. That was a bonus for today. I didn’t see that coming at all. Ron: It’s a huge benefit. 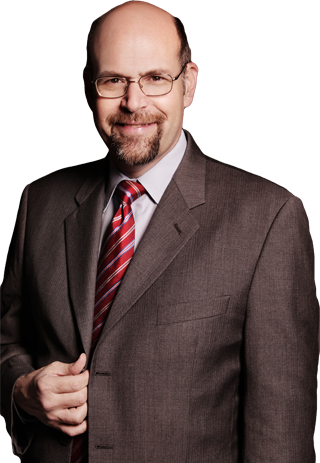 Katherine: We’re talking with Attorney Ronald Drescher about his book, File Bankruptcy and Get Rich. This guide helps you see your way past money troubles to get on the road to building wealth, and he’s given us two excellent examples, and then he threw in a bonus, so we’re going to say three. Ron, how do they a copy of your book? 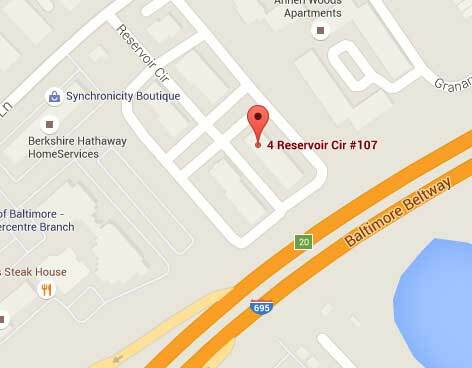 Ron: The best, quickest, easiest way, I’m going to give you a telephone number right now, 443-438-1966. Dial that number, ask for Nicky, and ask for a copy of File Bankruptcy and Get Rich. We’ll send it right out to you. Katherine: Awesome. I’m going to say thank you, again, for being a part of This Needs to be Said, and thank you for teaching us more about bankruptcy. Until next time, have a wonderful day. Ron: Thank you very much. Had a great time. Posted August 28th, 2016 & filed under Chapter 13.